Traveling around the holidays can be stressful whether its for a conference, meeting or just for fun. One perk of doing so before the holidays is being able to do some unique shopping you wouldn&apos;t be able to find in your hometown. 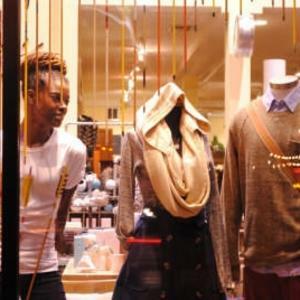 Columbus is ranked as the #4 best city for shopping in America by Forbes, after all, so we&apos;ve put together some of our favorite places you should check out while youre visiting our city! The Short North Arts District is a must-stop location on any shopping adventure. Located just steps from the Greater Columbus Convention Center (GCCC), it is known for the galleries, restaurants and local shops. Need a unique gift? Try Bink Davies. Looking for that perfect piece to complete an outfit? Check out Ladybird and Rowe Boutique. Need some great Columbus sports fan apparel? Go no further than Homage, whose vintage-inspired clothing is so comfortable you&apos;ll never want to take it off. 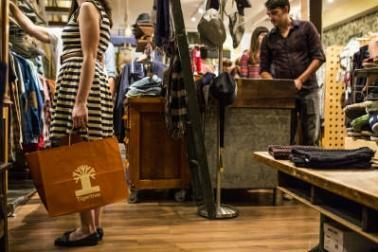 Tigertree and Pursuit are great options when shopping for men. Pursuit is great for suits and thoughtfully-curated accessories such as ties or pocket squares, Tigertree has a good variety of stylish casual clothes, jackets and shoes. If you have a foodie on your list to shop for this year, the North Market, located across the street from the GCCC is a great stop along the way. Here, you can find cookware, bottles of wine and numerous varieties of spices. Grab a bite to eat while you&apos;re shopping at one of the many local eateries also in the market. The cobblestone streets of German Village are home to many boutiques as well, like Helen Winnemore Craft, Vernacular and Caterina, Ltd. If you&apos;re shopping for a book worm, The Book Loft is a must! Its Columbus largest independent bookstore with 32 rooms for you to explore. 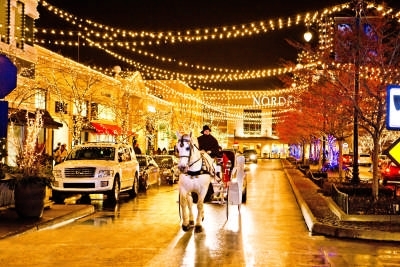 Easton Town Center, located near the airport, has national brands like Nordstroms, Crate & Barrel and American Girl. It is also home to Columbus based L Brands stores, like Victoria&apos;s Secret, and Designer Shoe Warehouse (DSW). Make sure to visit Celebrate Local and purchase some all-Ohio products. Polaris Fashion Place on the north side of the city is home to numerous shopping, dining and entertainment options as well. You have all the national big box brands you could ever need, plus some great local options. Visit Simply Vague for another taste of all-Ohio items or check out Sugardaddys for your sweet tooth and try their brownies or blondies. You will not be sorry! Of course, we cant talk about shopping in Columbus without mentioning a stop at our Visitor Centers for great local merchandise. Located at Easton Town Center, the Arena District and right inside of the GCCC, the Visitor Centers are great for finding a local souvenir to take home or to show your pride for Columbus. Check out the new Coffee and Ale Trail scented candles from the Candle Lab, &apos;Columbus Love&apos; hoodies and t-shirts and many other traditional souvenirs such as Columbus magnets with iconic landmarks, coffee mugs, pint classes, jewelry, artist prints and more!